For all practical purposes it appeared to be a banner day for the child as she found so many treasures. She had counted her findings one by one, and seemed happy with her final tally. 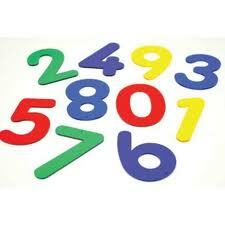 Numbers are helpful when we are collecting things, or playing a game and moving a token a certain number of spaces on the game board. Numbers are important when we dieting and keeping track of pounds lost or reduced inches. I even track the number of steps on my pedometer for my early morning walk. Little children learn their numbers quickly and delight in counting things, such as the little girl counting the lizards and butterflies. She could count how many objects she found as a measurement of the success of her day. Counting those things is important to the person collecting, playing a board game, losing weight, or tracking walking distance. For others not interested in any of those things the numbers are meaningless. Some things can be counted and really have little bearing on our lives. I can count how many pairs of shoes I have but the size of my shoe collection really doesn’t “count” much in my life. What really “counts” in my life is where those shoes take me, how I live every day, and there are no numbers attached to that. I cannot count or assign numbers to whether I am kind to another. I cannot count if I thought of someone else before myself, nor I cannot count the value of my time spent with a grandchild. How I live my life counts but it “cannot be counted.” I can count how many tennis sets I win, but I cannot put a number on the value of the time spent with the women I played with. I can count the number of credits I earned for my doctorate, but I cannot put a number on the value of having accomplished that goal. I can count the number of times I travel to visit my grandchildren, but I cannot count the impact of my visits on their lives. I love numbers and counting and keeping track of various measures, but generally life is not about “how much” but rather “how well”. Women with high SUCCESSTROGEN levels count the important things that should be counted and are fully aware of the important things in their life that cannot be counted. They do not waste time counting the things that do not count. What are some of the things in your life that really count but cannot be counted?